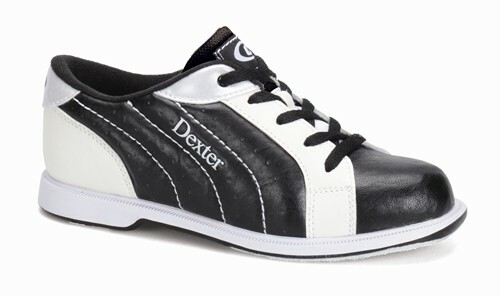 The Dexter Womens Groove II comes in a classy looking black and white and puts an added emphasis on comfort. This shoe has the S6 microfiber sole on the bottom of both shoes to have an average slide length. A comfortable shoe at an affordable price, ladies! I think they are very cute. However they are not true to Size like they say. I have had a really hard time trying to return them for a different size. I'm very disappointed. Bought these for dancing - they are very cute, but the toe box is a bit big for dancing. I may try the women's rental shoe as my husband bought that style (also for dancing) and he loves them! Hi Joey! This shoe is a regular B width. Do these shoes run true to size or bigger/smaller then size? The feedback we have suggests the shoe runs true to size. Unfortunately, these are only for women sizing. Due to the time it takes to produce the Dexter Womens Groove II Black/White ball it will ship in 2 bus. days. We cannot ship this ball outside the United States.